You really shoulda been there with us . . . . Begin the journey here in the West End and head to Burnaby Mountain with the rest of the Cool Kids . . . .
Next time for sure, OK ? ? ? ? Just For One Day . . . .
R.I.P. Mr. Jones . . . .
How To Stop a Pipeline . . . .
"Because industry and money is steering our government." 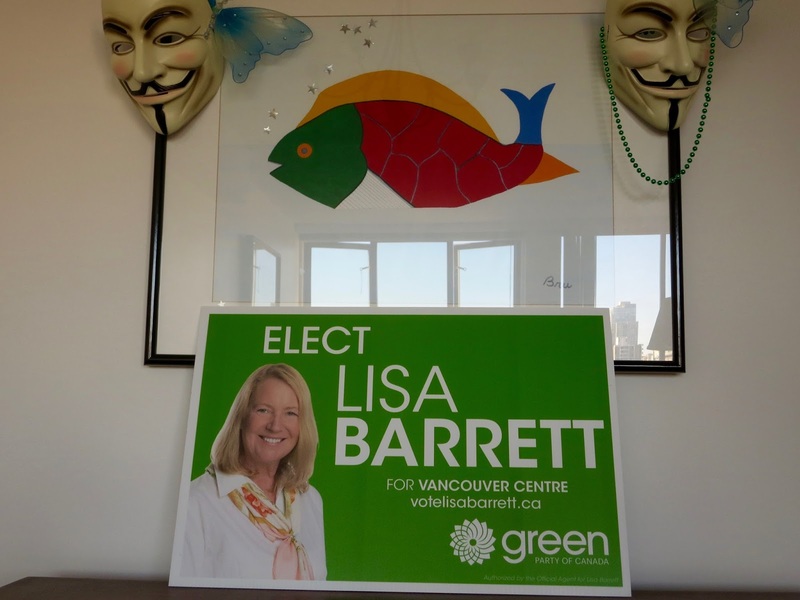 Canada votes tomorrow . . . .
Lisa Barrett for Vancouver Centre . . . .
Due to The Lady Alison's endorsement this Green Party MP candidate in my riding has already received my vote as I will be out of the country on October 19th. Please use your rights in our democracy to vote your conscience and hopefully send stevie packing on October 20th . . . .
We Are Better Than This . . . . Contribute . . . . This Ruling Changes Everything . . . .
Makes me proud to be a member. Hope you are, too . . . .
TPP Disected in Less Than 3-Minutes . . . . Contact your legislators . . . .